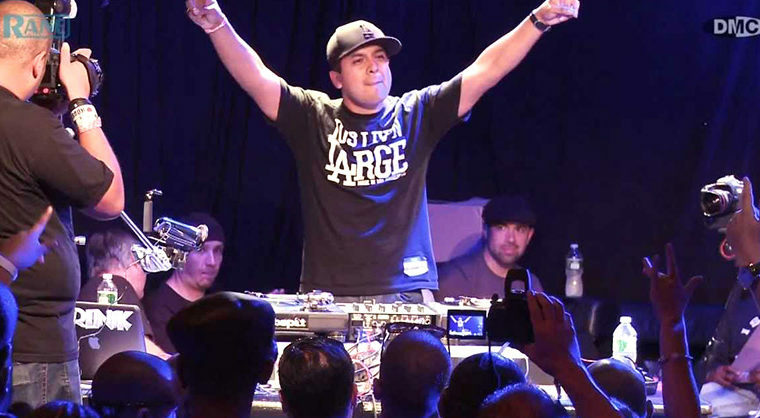 Early on in his career, DJ Esquire emerged as the 2002 Guitar Center North East Regional champion, ITF U.S.A. Vice Champion and was a member of the ITF Western Hemisphere Team Champions, proudly representing the USA at the 2002 ITF World DJ Finals held in Munich, Germany. 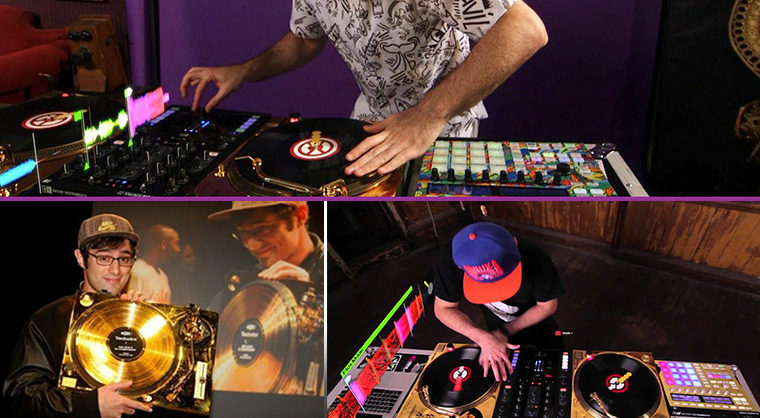 Esquire has also secured a teaching slot with Scratch DJ Academy where he teaches aspiring tablists the art of DJing. From there, Esquire went on a incredible hot streak, placing or winning in every battle he competed in. With his victory at the Hot 97 FM DJ Battle, Esquire had the privilege to open for DJ Mister Cee (former DJ for Notorious B.I.G.) on the Hot 97 Summer Party Cruise. In 2004, Esquire grossed over $15,000 in prizes from his battle victories and performed dates on the SXSW (South by South West) Festival. In the summer of 2005, Esquire traveled and performed with the Mountain Dew And 1 Mixtape Tour spanning 30 cities and returned in 2006 for another 25 city stint. 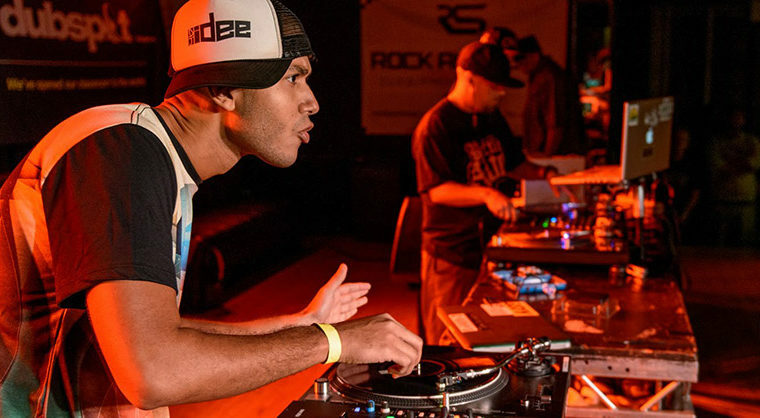 In 2007, Esquire re-entered the battle ring and won the Roc Raida / Stanton Gong DJ Battle USA & NYC Titles and the DMC Minneapolis Regional title. Esquire also starred in a Toyota Yaris commercial ad that was shown across the U.S. Recently, Esquire completed a successful European tour at the end of 2012, performing at various club/ lounge/performance dates in Denmark, Sweden, Germany and Poland and capped off the year with an appearance on VH1’s reality show “The Gossip Game”. 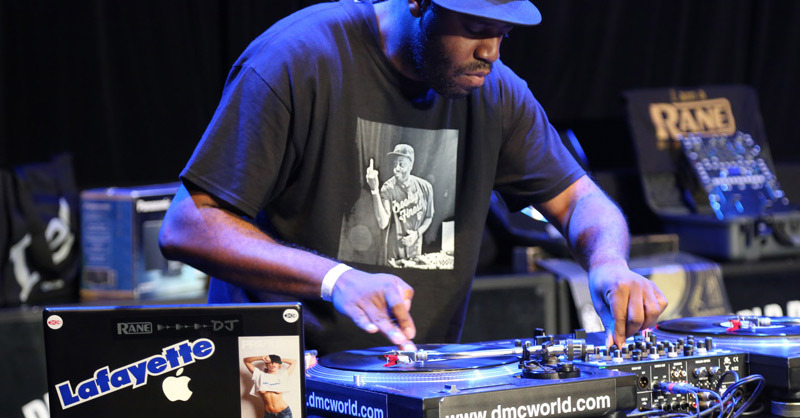 Congratulations on grabbing the 2013 DMC US DJ Finals crown. Describe winning the 2013 DMC US DJ Finals. How did you get into the whole DJ thing? How old were you? what was your inspiration to become a DJ? I started in high school when a schoolmate of mine got some decks at his place and we started messing around doing blends and cuts. I was inspired watching old VHS tapes of DJs like Q-Bert and Roc Raida do their thing or listening to Jazzy Jeff and DJ Premier do cuts on tracks. At what point did you know that it was your calling? What’s your process for a DJ Battle? For a head to head battle, I do tons of research on my opponents and compile enough material to embarrass the hell out of them on stage. For showcase battles, I try to come on with musical and creative sets to impress the judges and audience. What DJ gear do you use? You have any preferred equipment for mixing, juggling, etc? I currently use the Rane 62 mixer, Technics 1200s or Stanton STR8-150 turntables, and Ortofon OM-S and S-120 needles. Do you prefer serato over vinyl? or one over the other? I utilize both vinyl and Serato for my sets. I don’t have a preference. It depends on the situation. I have thousands of pieces of vinyl I have acquired over the past 19 years and I’m still collecting. How do you feel about today’s Hip-Hop music — Are you happy with it? who do you listen to? There’s a time and place for it in my world. I’m not too keen on a lot of the content that most rappers today are talking about so my interest is mainly beat driven with today’s music. I can listen to and appreciate some of it, but, not all. I’m a big Kendrick Lamar fan, tho. Whats the process like over @ Scratch DJ Academy? How is it teaching there? Any upcoming Dj’s we should be looking out for? At Scratch DJ Academy, we focus on a grassroots approach to teaching our students. Everyone MUST start with vinyl first and understand the process of beatmatching, scratching and using your ears before you can even move to using any piece of digital equipment. To know where the industry is going, you must have knowledge of where it came from. Above all, we are not just a school. We are a community of DJ’s, music lovers and close friends with music as our common bond. We have so many up and coming DJ’s that are going to usher in a new era over the next few years. I’m personally excited for one DJ, 13 year old DJ Dwells, that is training long and hard to make his DMC battle debut next year. So you’re gearing up for 2013 DMC World DJ Finals in London this October.. What’s the process gonna be? How important is progession in these competitions with new moves, rather than staying with the same techniques and perfecting them? My process is just as much mental as it is physical. I study all of the DJs entering and make sure I can exploit the weaknesses of others while giving the most entertaining show I can. I won’t give way anymore than that. You will just have to wait and see how it turns out at the World Finals. Looks like you’ve had your hand in everything that has to do with being a DJ.. After the DMC World finals in October what’s next on the list for you..? It’s back to regular business for me after the World Finals. I will continue with teaching at Scratch, my residency at Von with DJ Tim Martell, and my radio shows on Beatminerz Radio and Vyzion Internet Radio. In addition, I will be putting out a mix with Privilege and doing shows in Europe over the next couple of months. To date, what’s been the most memorable victory and why? My two DMC USA victories are clearly my most memorable wins. Winning the DMC USA Supremacy title in 2012 was an amazing feeling. I had to fight three rounds against some of the best talent in the U.S. and to come out with the W was extremely draining and completely satisfying at the same time. I worked for years to win a DMC USA title and it finally came true. I was elated. Fast forward to this year, this was the most shocking victory in my career. I worked really hard on my 6 minute set and felt it kinda fall apart in places at the competition. I had some sound issues and my needle actually split in half during the routine!! But, I wasn’t going to complain or stop. I just pushed through the rest of the set as best I could. After the set, I was a bit deflated and thought I had no chance of even placing. But, when Red Alert announced me as the winner, I was completely stunned. But, now that the shock has worn down a bit, I’m completed focused on representing the USA proudly as this years champion. I may have shocked the USA with my victory. Now, it’s time to shock the world. Where we gonna see you 10 years from now, and doing what? Best of luck this October over reppin the U.S. in London.. Any last words?